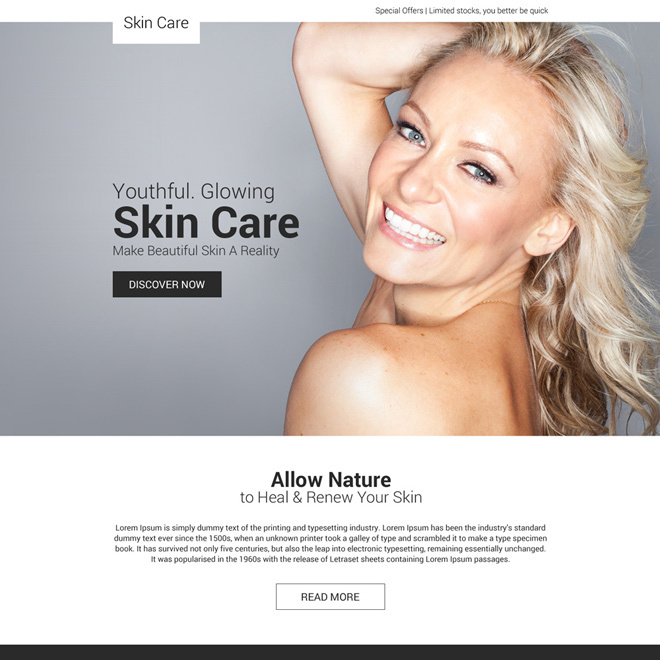 Maximize your skin care product sales by doing a marketing campaign with our responsive skin care landing page design templates. 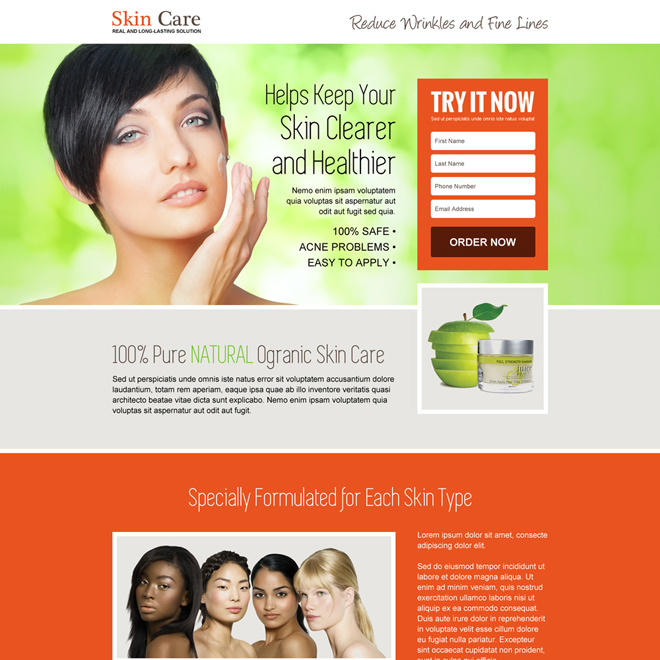 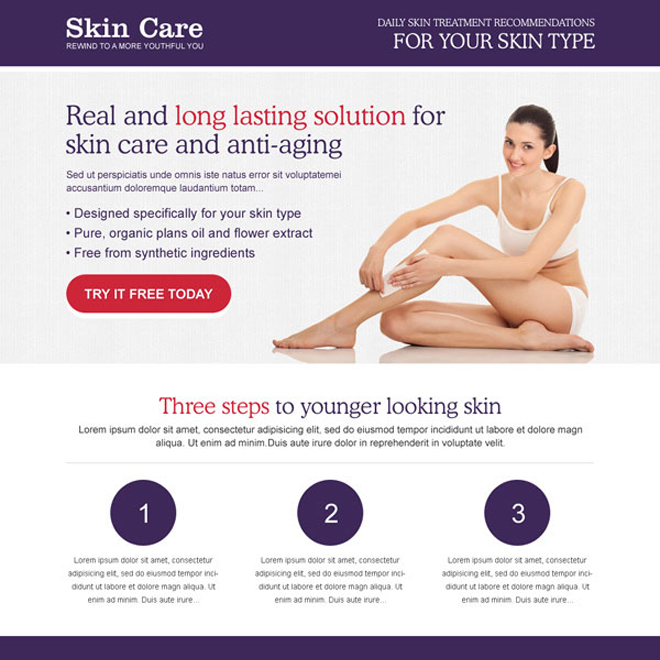 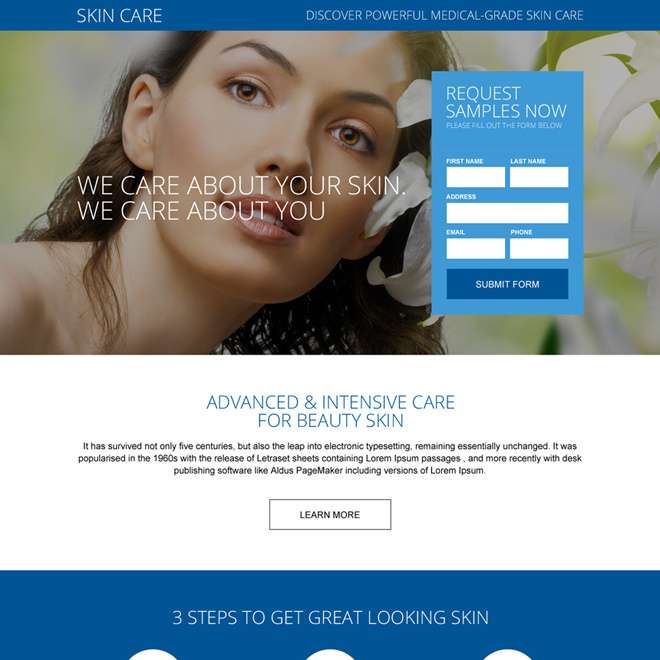 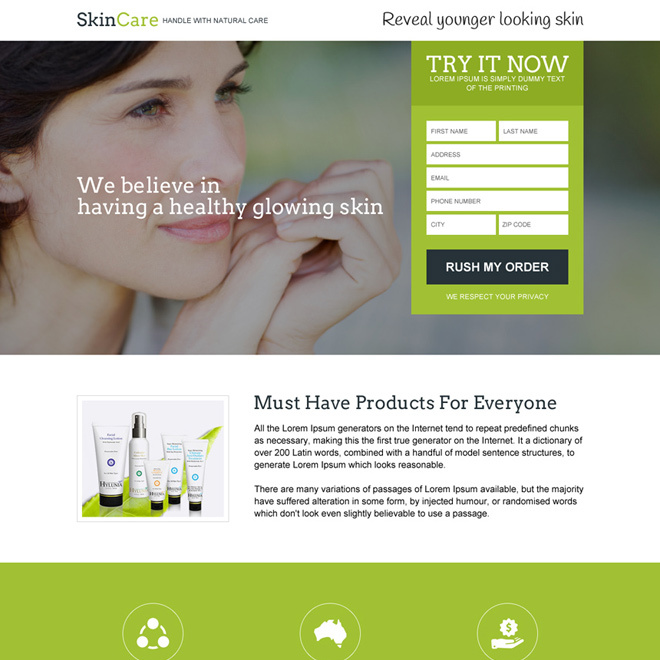 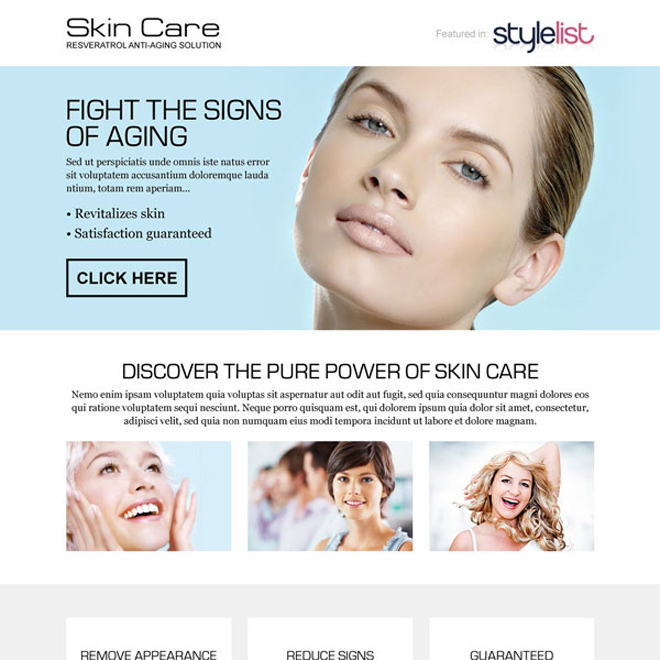 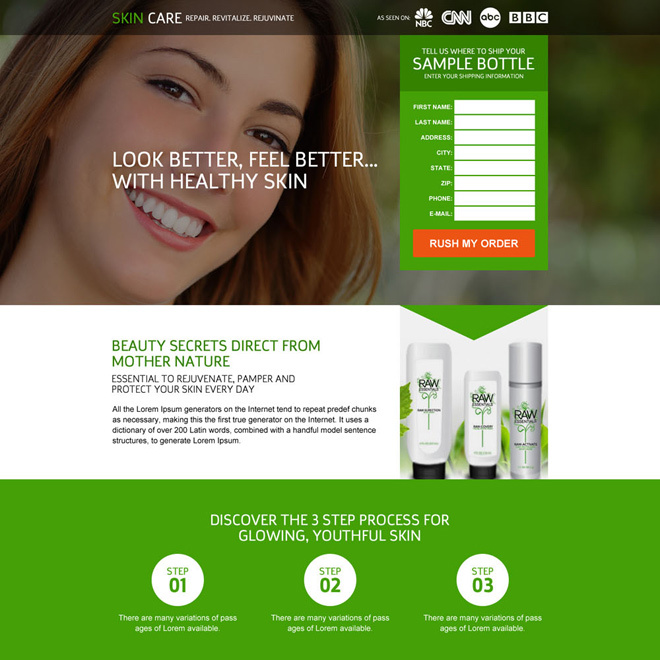 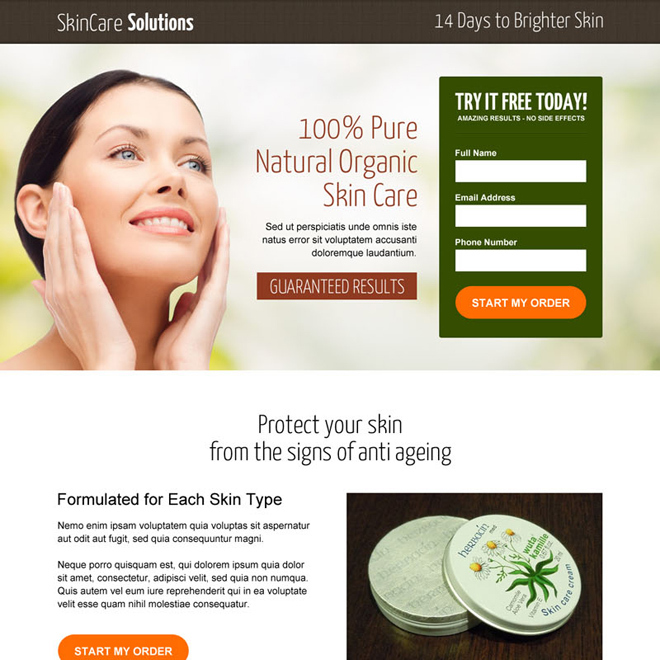 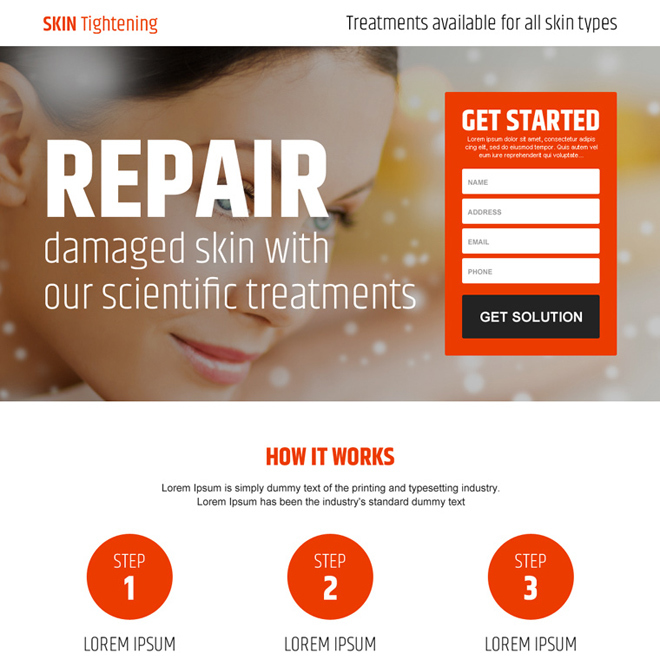 Our responsive skin care landing page designs have proven to increase conversion rate instantly and effectively. 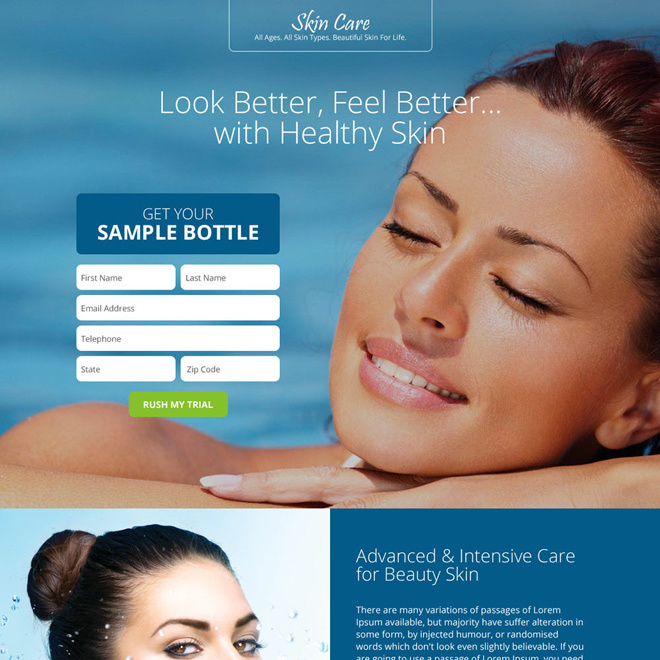 Our conversion centered and optimized skin care responsive landing page design gives maximum exposure of your skin care product.